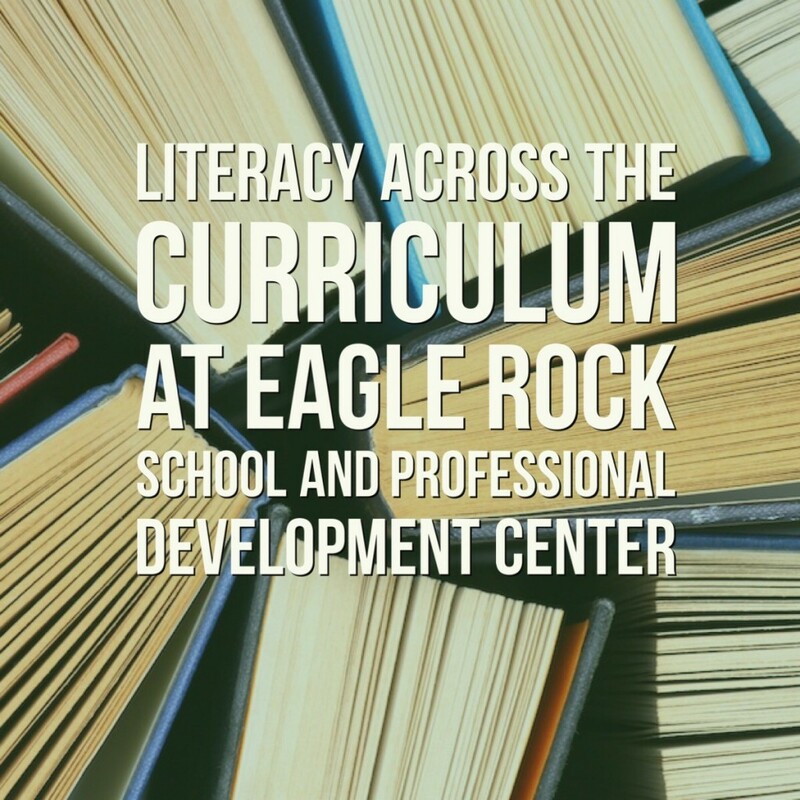 Each year, the instructional staff here at Eagle Rock School chooses a narrow and specific curriculum focus for the year. Known as the annual focus, our educators are continuing to pinpoint improving student literacy, an undertaking that actually began last fall. Specifically, our instructional specialists are focusing on Literacy Across the Curriculum (LAC), a topic of focus as way back as 2011 and 2012. And while a lot of learning and progress was made, the consensus was that there wasn’t enough systematic implementation to make a lasting difference. As a result, this time around the instructional staff is seeking ways to improve student’s reading comprehension across the board. Specifically, from now through August, instructors intend to hone our students’ abilities to find evidence within claims, and write persuasively with a warrant, claim and impact. 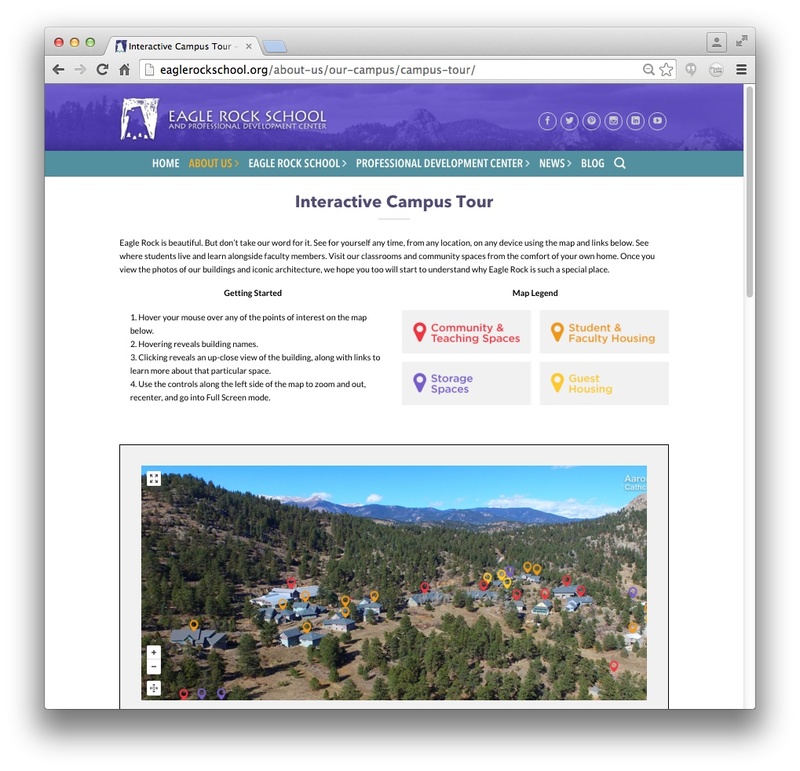 Editor’s Note: In our effort to make the Eagle Rock campus more accessible, approachable and understood by those who cannot travel to Colorado for a first-hand visit, we recently teamed up with a web development firm to build and maintain an interactive online campus tour. What follows is an introduction to this latest website feature of ours, authored by Christian Riggs of Riggs Creative. Here at Riggs Creative — a San Diego, Calif.-based web development and graphic design studio — we were tasked with the opportunity to create a unique and engaging way to show Eagle Rock School & Professional Development Center’s website visitors what the campus is like. We needed to capture the visual essence of the campus — its buildings, structures and other features, including the Outdoor Amphitheater and Field of Dreams. 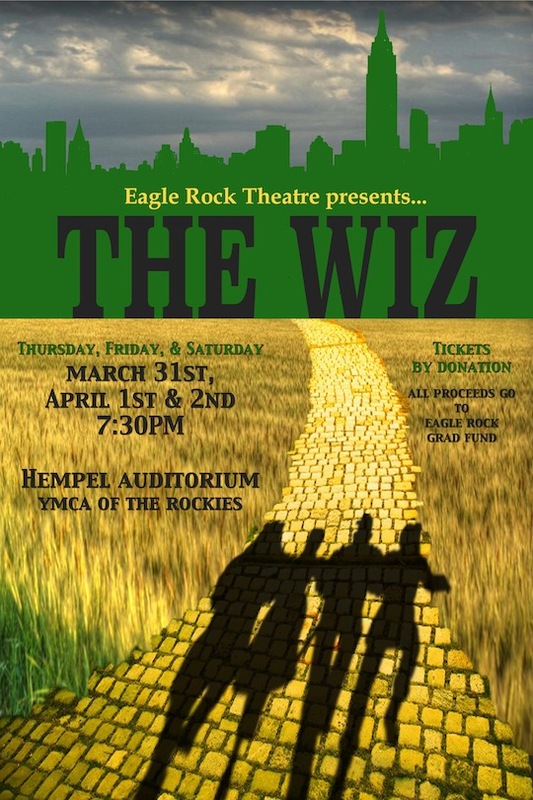 Eagle Rock’s Estes Park campus is unmatched in scenic vistas, quiet ambience and serene beauty, and the campus is expertly outfitted with features to allow students to thrive in their education. It’s that time of year again: Adopt a duck, send a graduate to college! The 2016 Duck Race & Festival benefiting the Eagle Rock School’s Graduate Higher Education Fund is scheduled for Saturday, May 7, in Estes Park, and is the perfect platform for parents, supporters and other members of the Eagle Rock community to raise funds for one of our most important projects on campus. This — the 28th annual duck race — continues a tradition started in 1989 that has, so far, returned more than $2 million to local charities and groups. How much money, you ask? A whopping $19 out of every $20 (or $21 if purchased online) spent to adopt a rubber ducky for the race goes directly to the Eagle Rock Graduate Higher Education Fund. If you do the math, that’s 95 percent of the proceeds from each duck adoption. Of course it helps that Rotary Club volunteers — like Eagle Rock’s own head of school, Jeff Liddle — run the Duck Race, thus keeping fundraising overheard low. That means that if you specify Eagle Rock School as the recipient, we get the $19 donation, which goes directly into our Graduate Fund, which supports past and future Eagle Rock graduates in their pursuit of higher education. Eriq Acosta is our cultures & societies instructor, and his disparate heritage alone enhances his qualifications for the job. Eriq acquired his Navajo, Pueblo and Chicano origins from his mother’s side of the family, along with Comanche and Mexican blood from his father’s side. He has lived and worked in both Los Angeles and New Mexico. In LA, he worked for the United American Indian Involvement as the lead evaluator for the program. He also taught traditional American Indian drum co-created the Los Angeles Native Youth Leadership Journey. In New Mexico, Eriq led a variety of outdoor education field experiences for the National Indian Youth Leadership Project. Those adventures with young people included rock climbing, backpacking, canoeing and rafting. 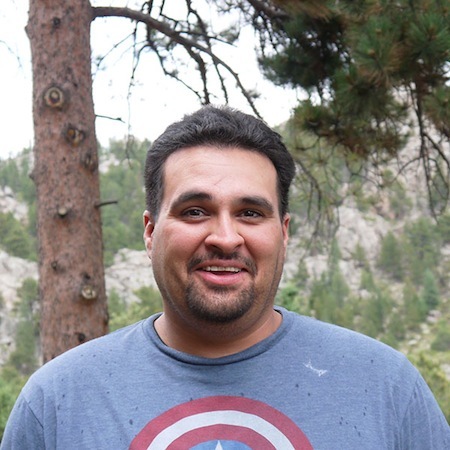 Most recently, he worked at Colorado State University as the assistant director of El Centro, a cultural center for CSU’s Latino, Hispanic, Mexican and Chicano students.